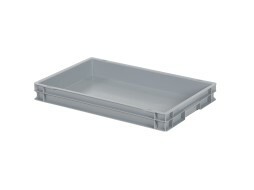 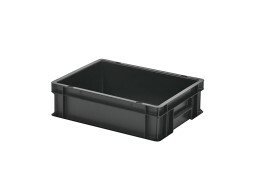 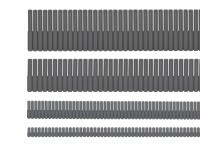 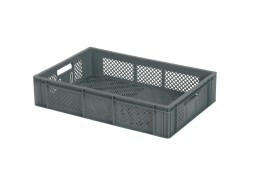 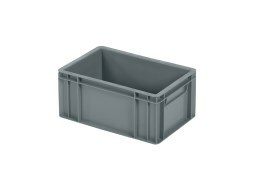 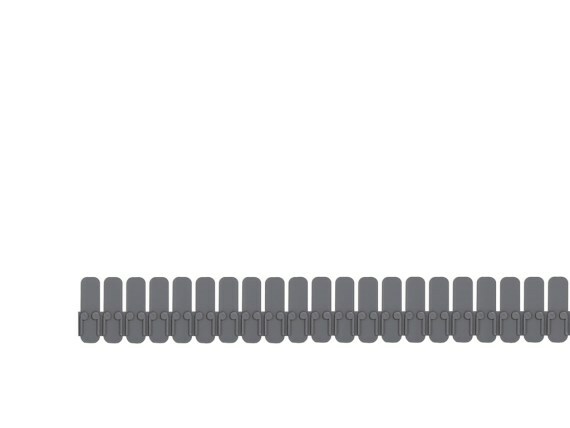 Grey stacking bin with grey hinged lid and two snap-slide locks. 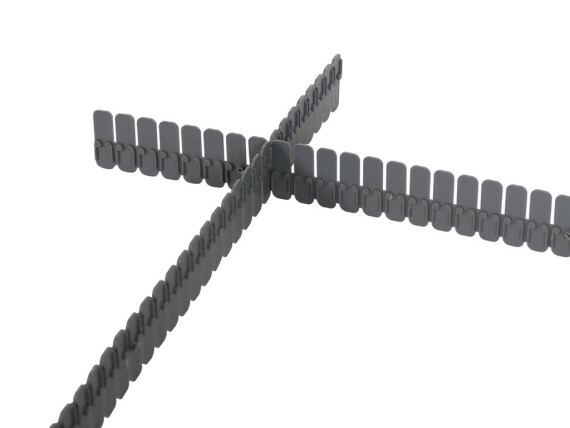 Entirely closed, with smooth base. 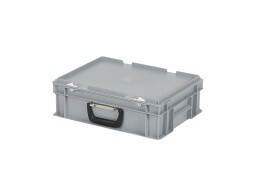 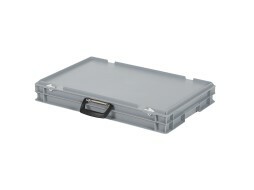 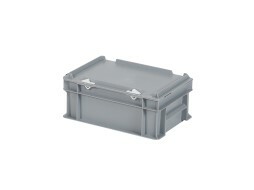 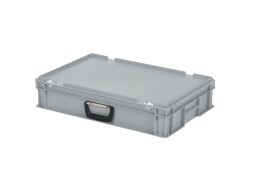 Grey Euronorm bin featuring grey hinged lid with snap-slide locks and case handle. Entirely closed, with smooth base. 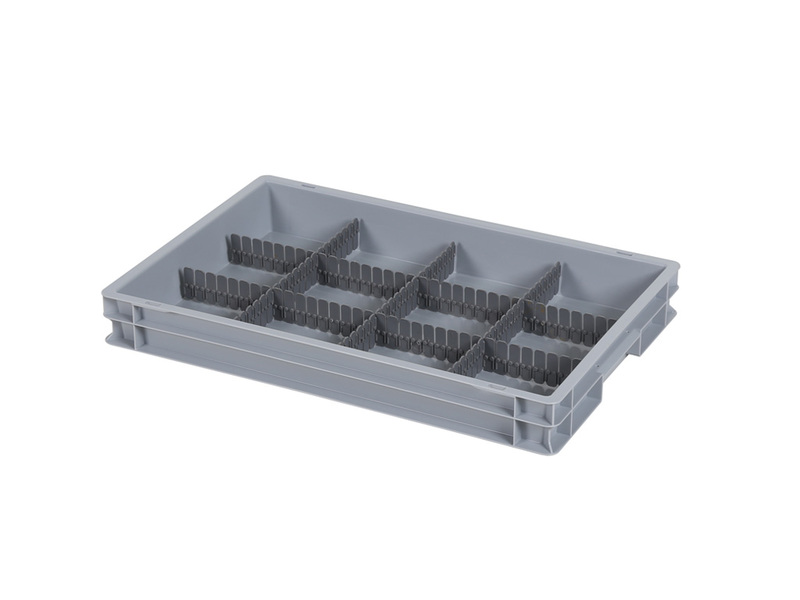 Grey Euronorm stacking bin with smooth base and closed handles. Orange Euronorm stacking bin with smooth base and closed handles. 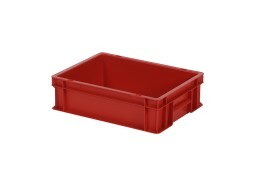 Red Euronorm stacking bin with smooth base and closed handles. Natural white Euronorm stacking bin with smooth base and closed handles.